Gary and Laura Miller met each other in 1979, while attending RHEMA Bible Training Center in Tulsa, OK founded by Rev. Kenneth E. Hagin. Laura was in her second year of school while Gary, who is from St. Louis, was in his first year. They were married in October 1979. 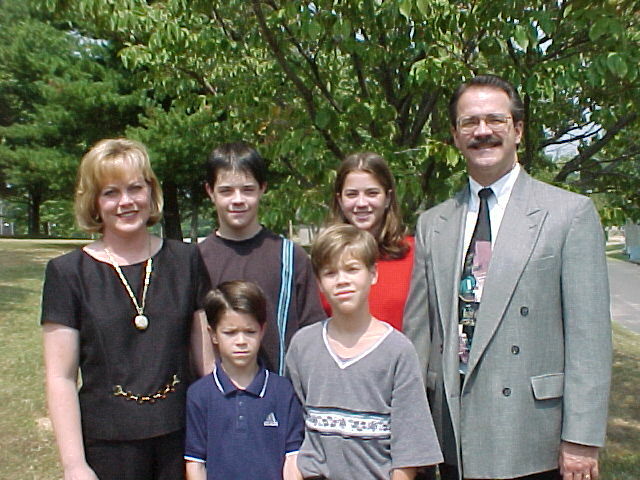 After graduation, Gary and Laura began a traveling ministry which took the young couple all over the U.S. Gary was the special speaker in churches while Laura many times would have a special song for the service. Their four years of traveling took them through Texas, Arizona, Colorado, Missouri, Illinois and to many of the states in the northeastern part of the country. Gary and Laura also made a few mission trips overseas before living in the Philippines for a little over one year. Gary said, "We just had a heart to go tell as many people as possible about Jesus Christ. In the Philippines, the Millers held open air evangelistic meetings along with Pastor Seminars throughout the islands. Gary again said, "We loved it in the Philippines and could have stayed longer, but felt our time overseas was over. We came back and pastored in Arizona for 2 years before coming to Washington, MO (a suburb of St. Louis) to pioneer a church, called Grace Family Church. "We are also very pleased to have been able to help start another church (also called Grace Family Church) in Branson. Rev. Dennis Case, from St. Louis is doing a wonderful job as the pastor. The Lord has been very gracious to us in allowing us to have part in that work," Rev. Miller said. "It was in January 1998 that the Lord began to give me a desire to pioneer a church in Paducah, Kentucky. We wrestled with it for quite a while, but ultimately we gave in to the Will of the Lord. So, we are in Paducah because of a Word of the Lord. He told us to come here and pioneer a church. God has given us Vision and a Plan." "We’re really excited about still being able to hear the voice of the Lord and being able to step out in faith. Laura and I are both in our 40’s with 4 children; Sarah 16, Benjamin 14, Jonathan 10 and Stephen 8. To resign our church after 10 years and start all over again from nothing, takes a step of faith. But the Lord has called every Christian to live by faith, walk by faith, and please Him by faith." "We’ve already grown to love Paducah and the people here. Everyone is so very friendly here. It’s very easy to fall in love with this region. Already the Lord is brining in people who have been praying for this area for years. It's always exciting to see God bring things together."